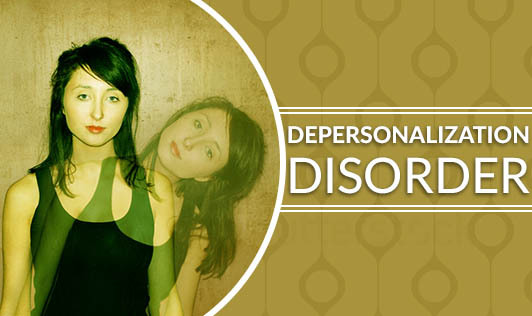 Depersonalization disorder refers to periods of feeling detached or disconnected from one's body and thoughts. This condition is sometimes described as a feeling like one is observing himself from the outside of his own body or like being in a dream. However, a person with this disorder does not lose contact with reality and can comprehend that things are not as they appear. What are the symptoms of Depersonalization disorder? This disorder is thought to be caused by an imbalance in the brain chemicals (neurotransmitters), although the exact reason behind it is yet to be understood. Depersonalization may be triggered by stress or trauma and often occurs along with other mental health conditions such as anxiety or depression. The episodes of this disorder can be quite startling and they can cause one to have difficulty focusing on tasks or remembering things, inability to work as well as problems in relationships with family and friends. If you have ongoing feelings of detachment, it could be a sign of depersonalization disorder or another mental or physical health problem. Contact your doctor for a proper evaluation of your symptoms!